The handle of the Alloy 20 ASTM / ASME Ball Valves lies flat in alignment with the flow once open, and is perpendicular to it once closed, creating for simple visual confirmation of the valve's status. Which makes Alloy 20 ASTM / ASME Ball Valves easy to control. 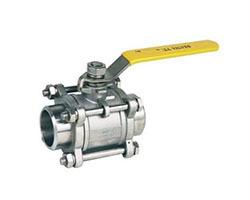 Alloy 20 ASTM / ASME Ball Valves are economically priced for the use of light-duty industries. Ridhiman Alloys produces largest number of Alloy 20 ASTM / ASME Ball Valves in India and is also known as a leading supplier of the Alloy 20 ASTM / ASME Ball Valves. Alloy 20 ASTM / ASME Ball Valves are widely utilized in fluid-handing systems for flow management. Ridhiman Alloys supplies Alloy 20 ASTM / ASME Ball Valves to light-duty industries for a proper flow management system. These kinds of ball Valves are appropriate for corrosive applications. they're utilized in Detergent, Pharmaceutical, Chemical, Rubber, Pulp and Paper Plants, Water Treatment Plants, Textile Mills and Food processing Plants to name a few. In general, Alloy 20 ASTM / ASME Ball Valves provide several benefits when contrasted with different kinds of valves, they supply superior easy operation, which may maintain and regulate high volume, high and warm temperature flow. Most Alloy 20 ASTM / ASME Ball Valves provide rugged construction providing with an extended time service life, and a comparable low price. 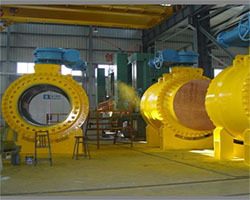 In addition, the planning of the regulating part permits the valve to operate without of the complications of aspect hundreds, typical of the categories of globe or Alloy 20 ASTM / ASME Ball Valves, and the valve style permits examination and repair of seats and seals without removing the valve's body from the pipeline. 1. Alloy 20 ASTM / ASME Two-piece ball valves (2 piece ball valves) suppliers, dealers and manufacturers in Mumbai India. 2. Alloy 20 ASTM / ASME Three-piece ball valves (3 piece ball valves) suppliers, dealers and manufacturers in Mumbai India. 3. Alloy 20 ASTM / ASME Fully welded ball valves suppliers, dealers and manufacturers in Mumbai India. 4. 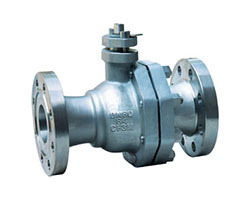 Alloy 20 ASTM / ASME One-piece ball valves (1 piece ball ball) suppliers, dealers and manufacturers in Mumbai India. 5. 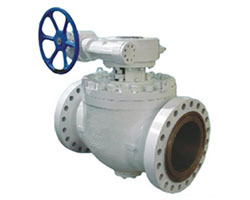 Alloy 20 ASTM / ASME Wafer Type Ball valve suppliers, dealers and manufacturers in Mumbai India. 6. Alloy 20 ASTM / ASME Top entry ball valve suppliers, dealers and manufacturers in Mumbai India. 7. Alloy 20 ASTM / ASME Four way ball valve (4-way ball valve) suppliers, dealers and manufacturers in Mumbai India. 8. Alloy 20 ASTM / ASME Three way ball valve (3-way ball valve) suppliers, dealers and manufacturers in Mumbai India. 9. 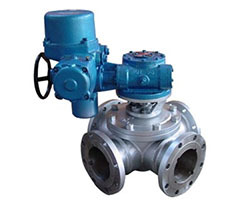 Alloy 20 ASTM / ASME Orbit ball valve suppliers, dealers and manufacturers in Mumbai India. 10. 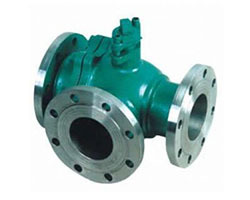 Alloy 20 ASTM / ASME Jacketed ball valve suppliers, dealers and manufacturers in Mumbai India. 11. 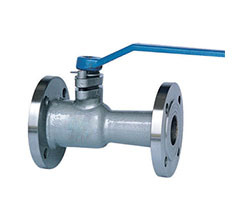 Alloy 20 ASTM / ASME Uni-body ball valve suppliers, dealers and manufacturers in Mumbai India. 12. Alloy 20 ASTM / ASME Eccentric v-type ball valve suppliers, dealers and manufacturers in Mumbai India. 13. 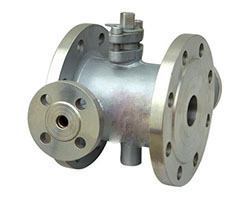 Alloy 20 ASTM / ASME Split body ball valve suppliers, dealers and manufacturers in Mumbai India. 14. Alloy 20 ASTM / ASME Three piece body ball valve (3-piece body ball valve) suppliers, dealers and manufacturers in Mumbai India. 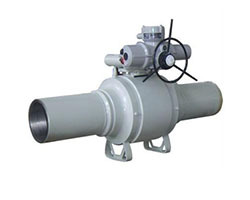 Alloy 20 ASTM / ASME Ball Valves are the 3 kinds of rotary valves utilized in industrial plants. 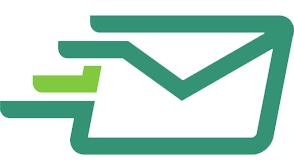 they're widely utilized in fluid-handing systems for flow management. These kinds of Rotary Valves are appropriate for corrosive applications. they're utilized in Detergent, Pharmaceutical, Chemical, Rubber, Pulp and Paper Plants, Water Treatment Plants, Textile Mills and Food processing Plants. In general, Ball Valves provide several benefits when contrasted with different kinds of valves, they supply superior easy operation, which may maintain and regulate high volume, high and warm temperature flow. 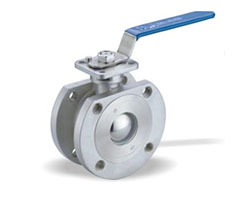 Most Ball Valves provide rugged construction providing with an extended time service life, and a comparable low price. 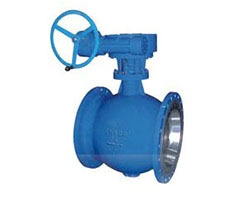 in addition, the planning of the regulating part permits the valve to operate without of the complications of aspect hundreds, typical of the categories of globe or Ball Valves, and the valve style permits examination and repair of seats and seals without removing the valve's body from the pipeline. Alloy 20 ASTM / ASME Ball Valves, as the name implies, are stop valves that use a ball to prevent or begin the flow. The ball performs an equivalent operate because the disk within the globe valve. once the valve handle is operated to open the valve, the ball rotates to a degree wherever the outlet through the ball is in line with the valve body inlet and outlet. once the valve is shut, which requires solely a 90-degree rotation of the hand wheel or Worm gear for most valves, the ball is turned so the hole is perpendicular to the flow openings of the valve body, and flow is stopped. Alloy 20 ASTM / ASME Ball Valves, as the name implies, are valves that use a ball to prevent or begin the flow. 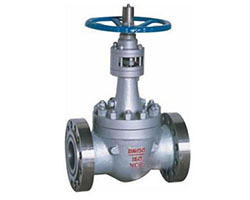 The ball performs an equivalent operate because the disk within the globe valve. Once the valve handle is operated to open the valve, the ball rotates to a degree wherever the outlet through the ball is in line with the valve body inlet and outlet. Once the valve is shut, which requires solely a 90-degree rotation of the hand wheel or Worm gear for most valves, the ball is turned so the hole is perpendicular to the flow openings of the valve body, and flow is stopped. Which makes 2 Piece ball valve easy to use. 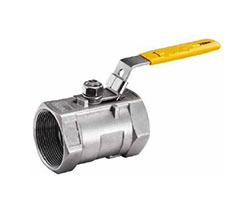 Alloy 20 ASTM / ASME ball valves are very light-weight and can be used for low-duty industries. Alloy 20 ASTM / ASME Ball Valves can be opened and closed fully. Just by rotating the handle at 90 degrees. 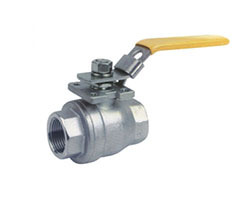 Alloy 20 ASTM / ASME ball valve comes with a standard handle. Ridhiman Alloys is the sole leading Alloy 20 ASTM / ASME Ball Valves supplier, dealer, manufacturer in India. There are different types of Ball Valves such as Two piece Ball Valves (2-piece ball valve), Three Piece Ball Valve (3piece ball valve), Fully Welded Ball Valves, and other types of Ball Valves are supplied by leading supplier dealer and manufacturer in Mumbai, India. Ridhiman Alloys has a wide network to deliver and supply all types of Ball Valves to any part of the country and also exports to major countries. Ridhiman Alloys is also a well-known supplier, manufacturer, dealer of other valve products such as Ball Valves, Butterfly Valves, Gate Valves, Globe Valves, Check Valves, Control Valves, and other types of Valves in all grades and sizes. Ridhiman Alloys is world Leading Dealers of Alloy 20 ASTM / ASME Ball Valves. Most Alloy 20 ASTM / ASME Ball Valves are of the quick-acting sort (requiring solely a 90-degree turn to operate the valve either utterly open or closed), however several are planet gear operated. this kind of gearing permits the utilization of a comparatively tiny handwheel and operational force to operate a reasonably giant valve. The gearing will, however, increase the operational time for the valve. Some Alloy 20 ASTM / ASME Ball Valves contain a swing check placed inside the ball to provide the valve a check valve feature. Alloy 20 ASTM / ASME Ball Valves are commonly found within the following systems aboard ship: saltwater, sanitary, trim and drain, air, hydraulic, and oil transfer.We are one amongst the leading and skilled ball valve Manufacturer in China covering Floating kind ball valve, Trunnion kind Alloy 20 ASTM / ASME Ball Valves, forged Steel ball valve, cast Steel ball valve, stainless-steel ball valve, threaded or S.W Ends ball valve. One Piece Body (Uni-body) Ball Valve, 2Piece or Split Body ball valve, 3 Piece Body valve, 3 way ball valve, Four way ball valve, top Entry ball valve, Eccentric V type ball valve, Jacketed type ball valve, fully Welded Underground ball valve etc.Material ranges from conventional cast iron, cast Steel or forged steel to special alloy materials like Monel, Inconel, Hastelloy or Duplex steel. Our company has scaled unimaginable heights in business and the credit of it goes to our high quality and innovative products, thereto success our export nowadays is in as a result to that success our export account today is in India, Qatar, Oman, Mexico, Canada, USA, Nigeria, Singapore, Malaysia, South Africa, Kuwait, Alriyadh, Bahrain, Sri Lanka, Australia, Brazil, Venezuela, Bangladesh. Our team strives to lean our peers in providing worth added services and support to our customers throughout the world. We are going to deliver instantly with ready to export/supply Alloy 20 ASTM / ASME Ball Valves.